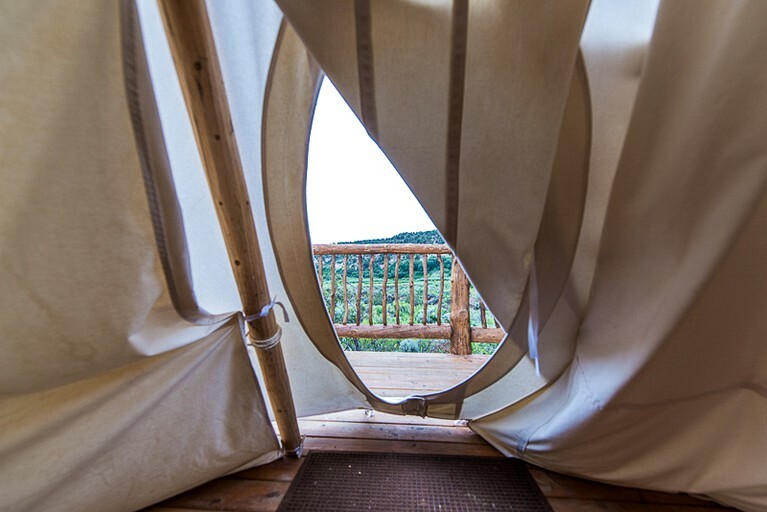 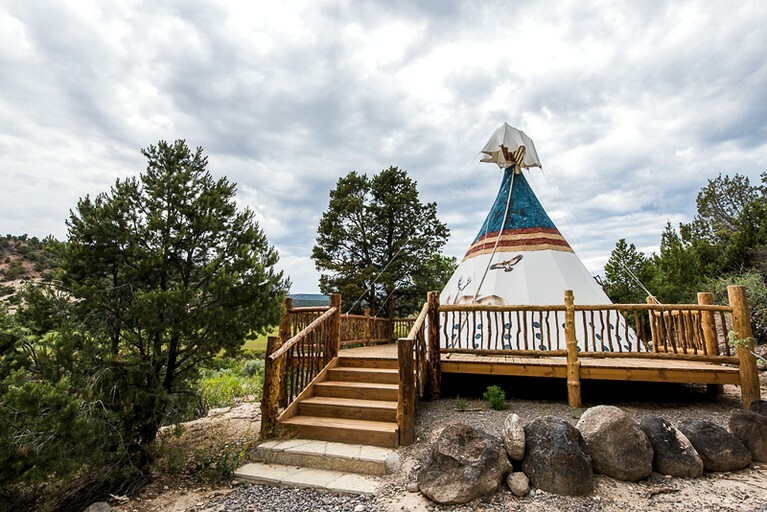 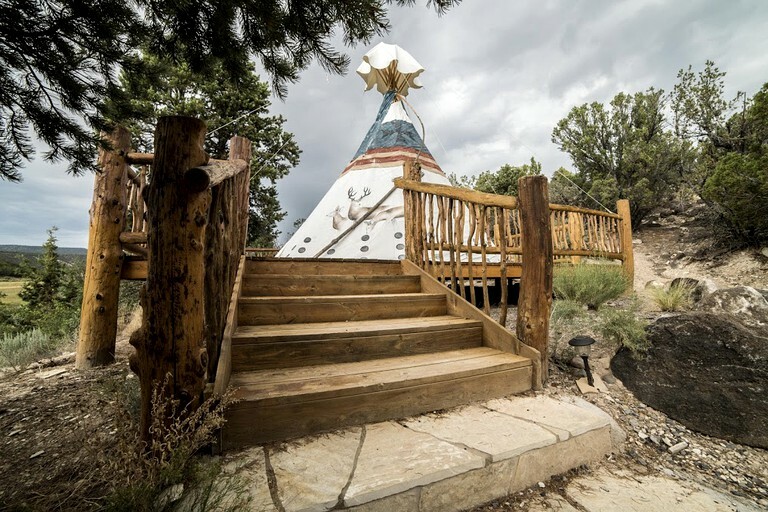 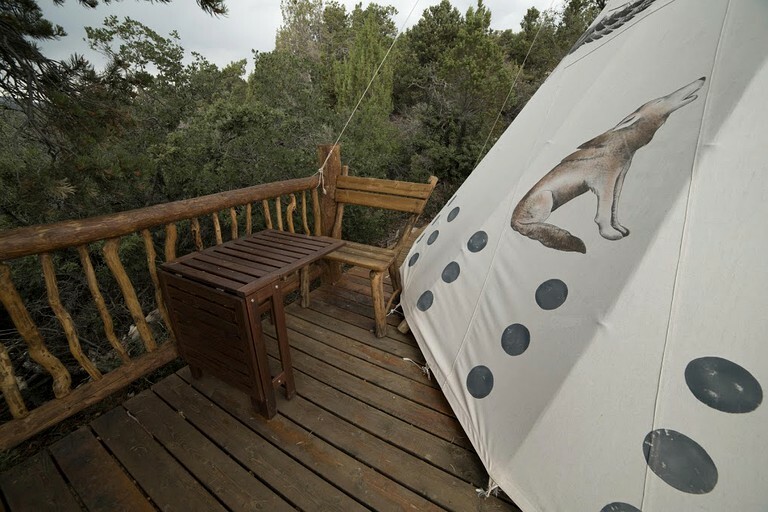 Experience an unforgettable glamping adventure with this incredible hand-painted Native American tipi rental near Dixie National Forest, Utah. 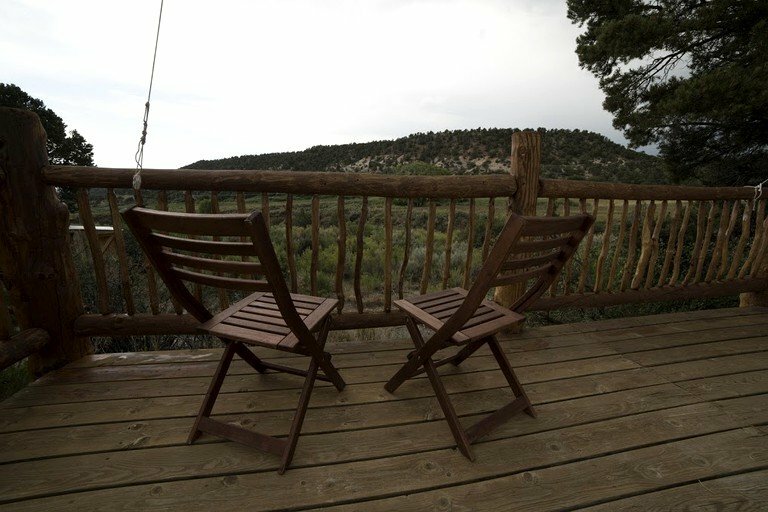 Here, guests can relax in calming solitude with views of the western plains and green hillsides from their beautifully hand-crafted deck. 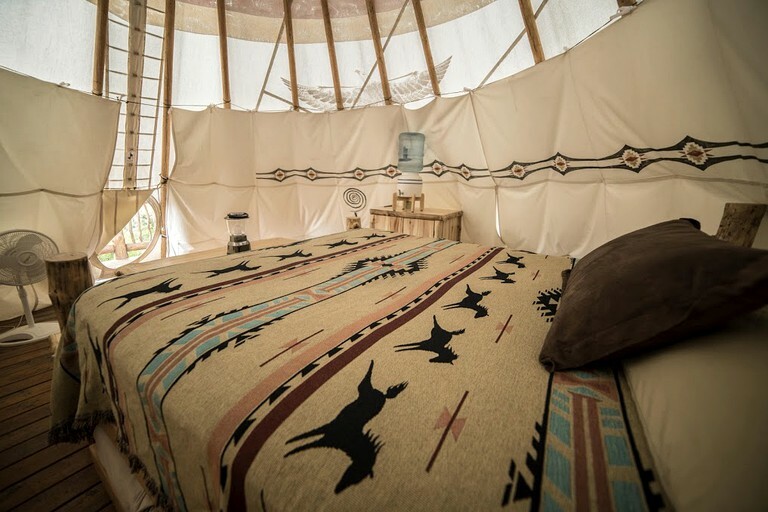 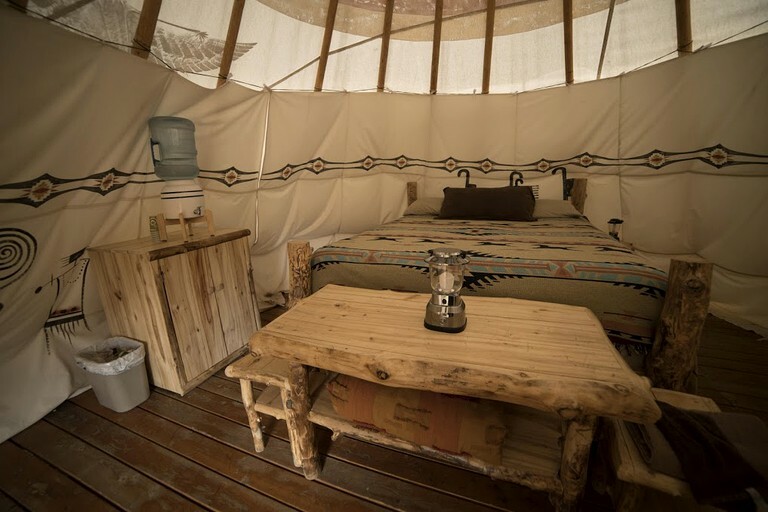 The tipi rental can accommodate up to three guests with its cozy California king-size bed and its pull-out trundle. 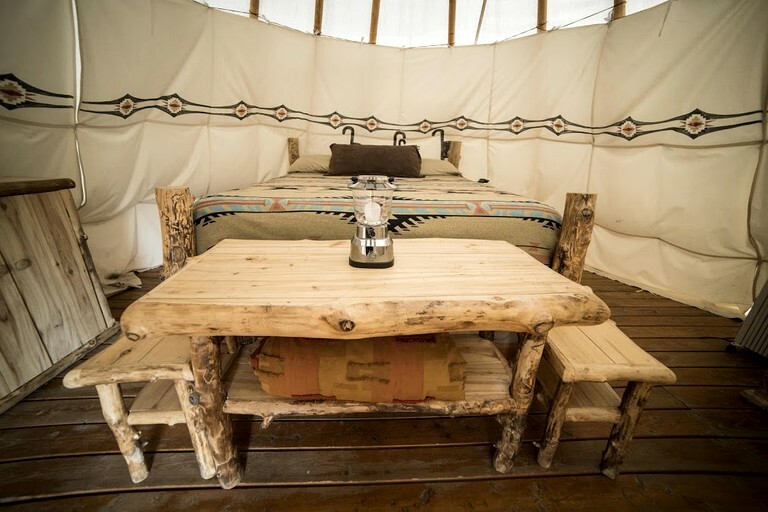 The beds feature traditionally designed hand-woven quilts while the bed frame has been hand-made from timber.